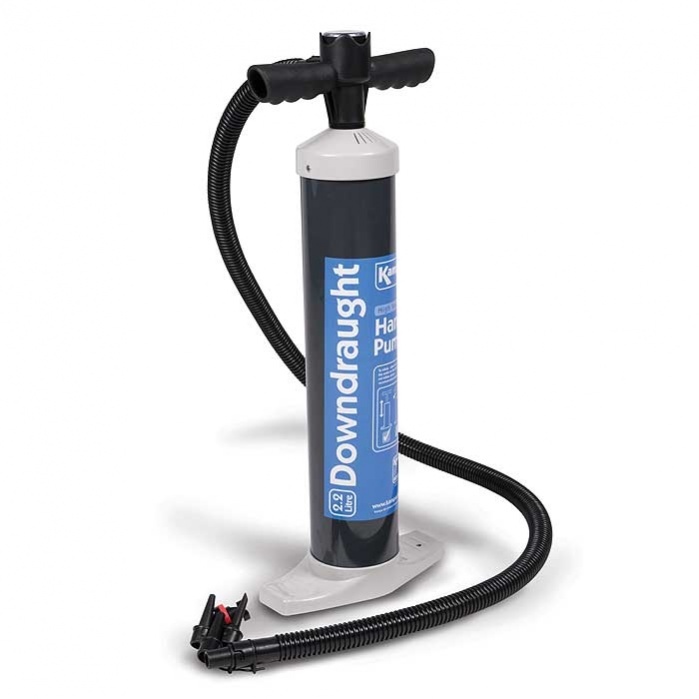 The Downdraught 2.2L High Performance Hand Pump is taller so you don’t need to bend as far and because it only works on the down stroke, it requires a lot less effort – you’ll certainly notice the difference. 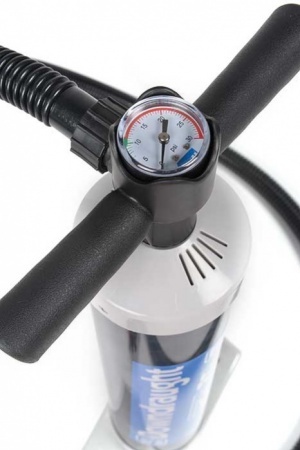 The pump has more comfortable hand grips and a built in pressure gauge, so you’ll know when you’ve reached the correct pressure. Kampa include this pump with their inflatable awnings. The pump is also suitable for other large volume inflatables. Ideal for air awning and air tents, SUP's, dinghies and towables.